LOCATION! LOCATION! Updated TWO bedroom, TWO Bath CORNER unit with wall to wall windows, designed with a sought after layout w/bdrms on opposite ends & each with their own ensuite! Updates Include: Stone counters, New appliances, New kitchen cabinet doors, Fresh paint, Laminate flooring, Window & Door screens. 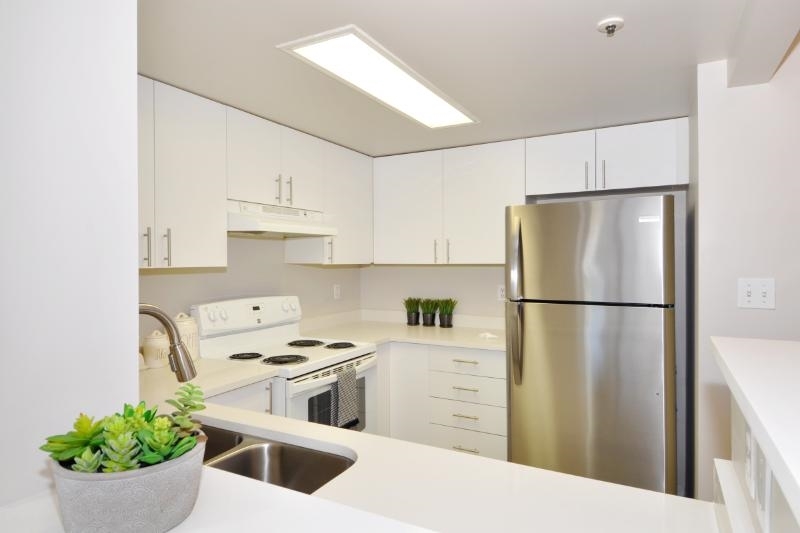 All this in the very Desirable, Trendy and Highly WALKABLE, Downtown New West, just steps away from any Convenience you require and Skytrain Station right across the street! Well managed building with Updates that include: re-plumbed/re-piped 2016, new boiler system 2012 and more. RENTALS and PETS allowed. OPEN HOUSE: Sunday, November 18th from 2-4pm.